Voice Biometrics is a verification technology that uses your voice to identify you, which is unique to every one of us. Once you have enrolled and recorded your voiceprint with CitiPhone Banking, you will be no longer required to remember your PIN or answer multiple verification questions. Record your voice print the next time you call CitiPhone Banking. When you make future calls to CitiPhone Banking, the system will compare your voice with your recorded voice print. In the background the verification is completed in few seconds while you are talking to our CitiPhone officer. 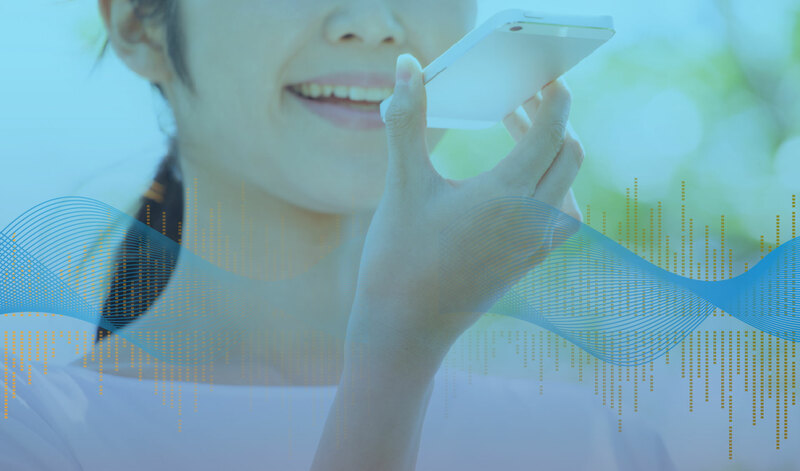 Voice Biometrics - a convenient, faster and secure way to authenticate. Recognizes your unique voice for a smoother CitiPhone Banking experience. Resolve your banking needs quickly without you having to remember your PIN or answer multiple verification questions. Can someone gain access to my voice print and hack into my account? Voice Biometrics is a numerical representation of the sound, pattern and rhythm of an individual's voice. Voice Biometrics or "voice print" is unique to an individual, similar to fingerprint. Voice Biometrics technology has the ability to extract an individual's voice print and to use the extracted voice print to verify the speaker's identity by comparing the voice print. The voice print, which is a numerical representation, cannot be reverse-engineered/ reused in any form. Can someone record my voice and use that to access my account information? No. Citi uses Text independent or Free Speech Voice Biometric technology. The verification will be conducted using your voice print whilst you are having a conversation with our CitiPhone officer. What if someone has the same voice as me? No two voices are the same; even identical twins have different voice prints. Over 70 different body parts are involved in creating speech. Each human voice and extracted voice print is therefore unique. What if I have a cold which affects how I sound? There may be conditions that may affect the authentication of your voice, though with a slight cold, your voice can still be authenticated. Should the authentication process be affected by a change in your voice, standard verification questions will be prompted to safe guard your confidentiality. How much do I have to pay for voice biometrics? This service is provided to enhance your CitiPhone experience at no additional charge. How can I request for this service? Will I be automatically enrolled? Yes, we need your consent to collect, store and use your voice print to enroll in Voice Biometrics. All you would have to do is call CitiPhone Banking at (84 28) 3521 1111 and request for enrollment. Where is Voice Biometric made available in Citibank? Voice Biometric is only available when customers speak to our CitiPhone officers at our CitiPhone Banking hotline (84 28) 3521 1111. This is not available at branches or Citibank Online. Can I be authenticated immediately after enrolling for the Voice Biometrics feature? You will be able to use this service 4 hours after successful enrolment. Can I opt-out of Voice Biometrics after I have enrolled? You may de-enroll from Voice Biometrics at any time by speaking to our CitiPhone Officers. Is Voice Biometrics going to replace the existing verification method? There are 4 methods of authentication when you call CitiPhone, T-Pin, OTP, Voice Biometric & Standard verification questions. Voice Biometric is an additional verification method that we have newly introduced for CitiPhone.